A proper wedding timeline keeps the day organized, while ensuring that you and your guests enjoy every aspect to the absolute fullest. An event-by-event breakdown of the day’s festivities should begin with the photographer’s arrival, typically before the bride begins to get ready. 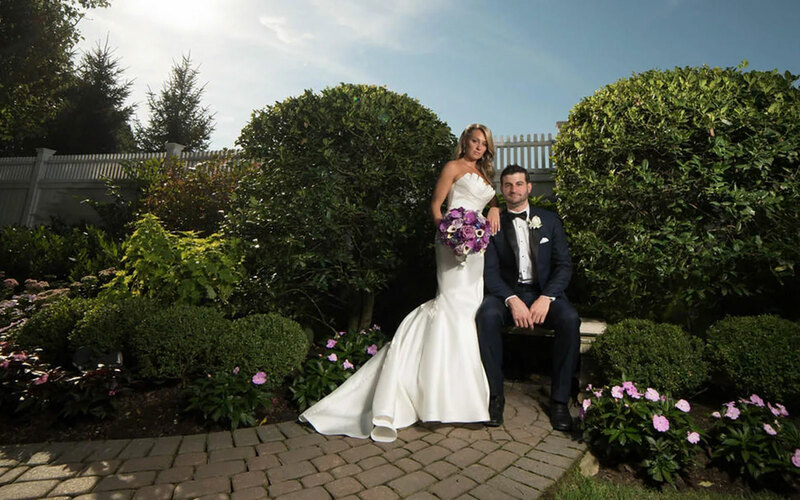 As 65 percent of couples get ready with their wedding party, being surrounded by the people you care for and love the most makes for some great photos and will leave you with cherished memories. While the photographer is on site and the stylist completes the bride’s hair and makeup, the bridesmaids should also be getting dressed. 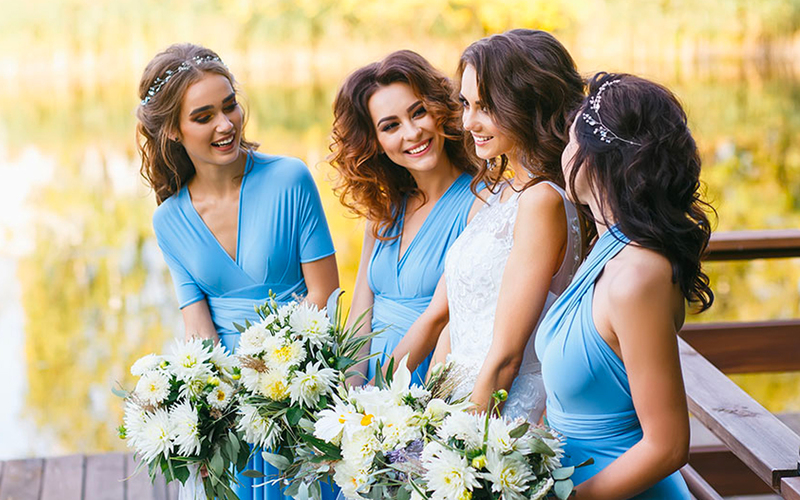 Around this time, the maid-of-honor should help the bride with the final touches—jewelry, zipping up the dress—as this moment presents a fantastic photo opp. These photos are meant to capture the unabashed excitement every bride experiences the day of her wedding. It’s the bride with her closest friends and family—maybe taking shots, enjoying a champagne toast and smiling profusely while soaking in the celebratory atmosphere—so it should be lively and celebratory. For those who choose to do the bride-groom photos before the ceremony, it’s important to carve out enough time for the shoot, without feeling pressed for time. As it’s the first time the soon-to-be-married couple will see each other before the ceremony, this is a special moment that should be private and away from the prying eyes of family members or friends. The photographer and/or videographer should lead the bride and groom to a prearranged private space where the photos will take place. For this step in the timeline, the photographer should have a shot list for everyone the bride and groom want in their photos. A member of the family should assist the photographer in identifying who’s who, and even help track down any wayward groomsmen. The invitations you sent out probably has a time printed on it that isn’t the actual start time of the ceremony. This helps ensure that most guests will be there and in their seats when the bride begins her much-anticipated walk down the aisle. 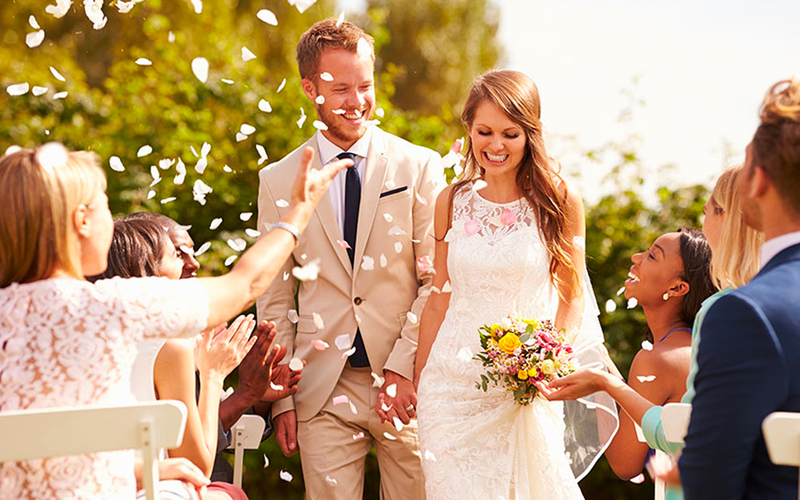 Ceremonies typically last around 20 to 30 minutes, unless it’s a religious event, then it could last up to an hour—but 70 percent of ceremonies hover around 30 minutes or less. How ever long it takes, blocking out ample time for the ceremony is essential. The ceremony should lead directly into the cocktail hour, which could include some post-ceremony photos. 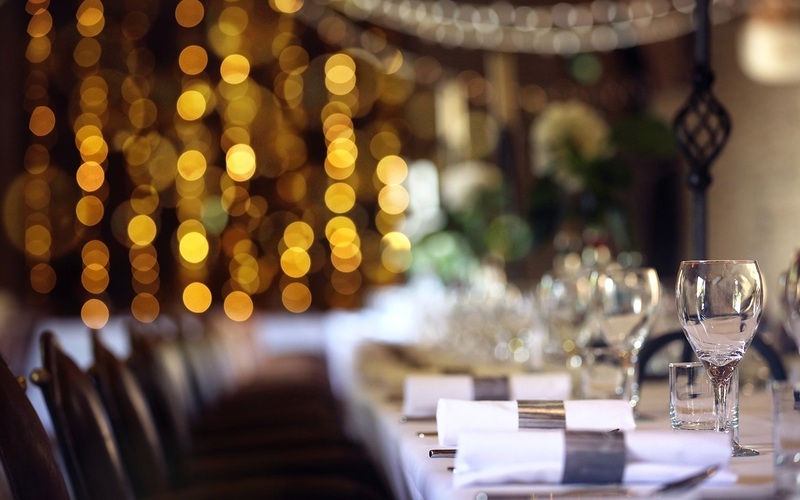 This is the time for guests—and the bride and groom—to enjoy some of the most highly anticipated food of the wedding day. In some cases, couples want to put more thought into cocktail hour cuisine than in the more formal sit-down dinner. If this sounds familiar, be sure your wedding planner knows just how important this part of the event is to you. Towards the end of the cocktail hour, your wedding photographer might try to lure you outside for some sunset photos—depending on the time of day. As the cocktail hour begins to wind down, someone will need to corral guests into the reception hall. 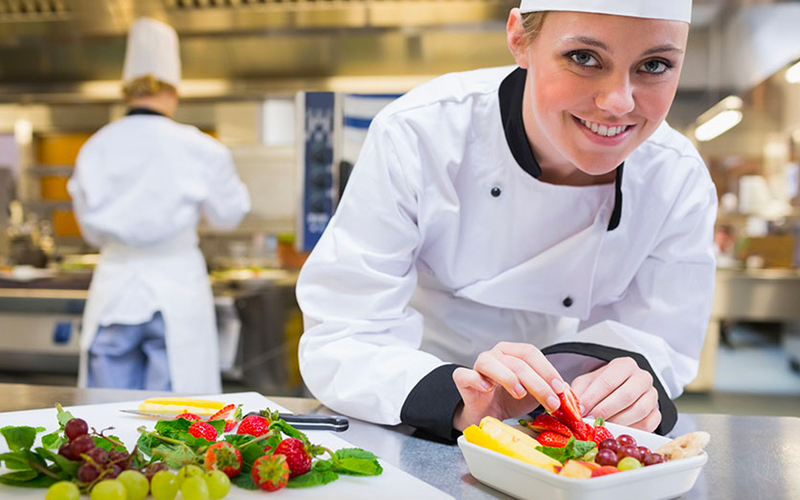 Usually the venue would pass the message along through their service staff, who gently suggest that guests should begin to find their tables. 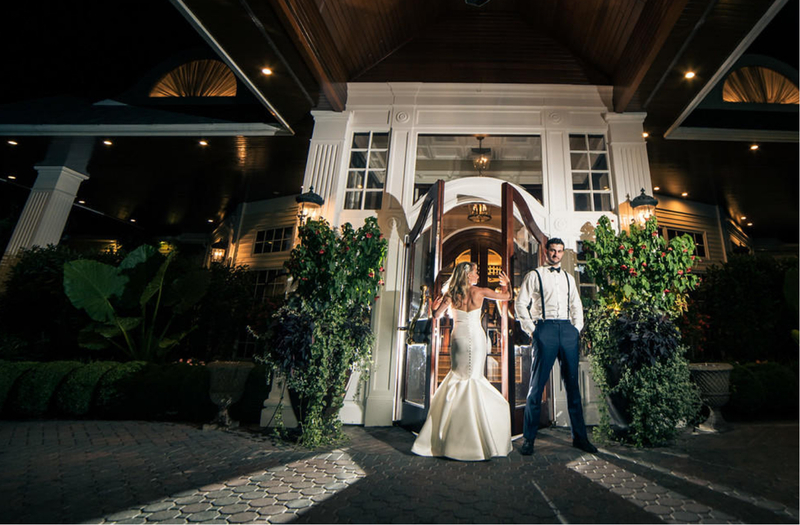 Clearly one of the most hotly anticipated traditional elements of the wedding, the grand entrance sees the wedding party introduced, usually in pairs, before the bride and groom make their first appearance as a married couple. Amid cheer and applause, the couple heads straight to the dance floor for the first dance while the crowd forms around them. As the first dance concludes, some couples like to invite guests to join them and the DJ or band play a few songs to get everyone worked up before dinner. The venue’s staff likely took everyone’s dinner order during those first few songs and before long, you and your guests are in their seats enjoying varied cuisine options. There’s probably a chicken, most likely a steak and hopefully a vegetarian options. 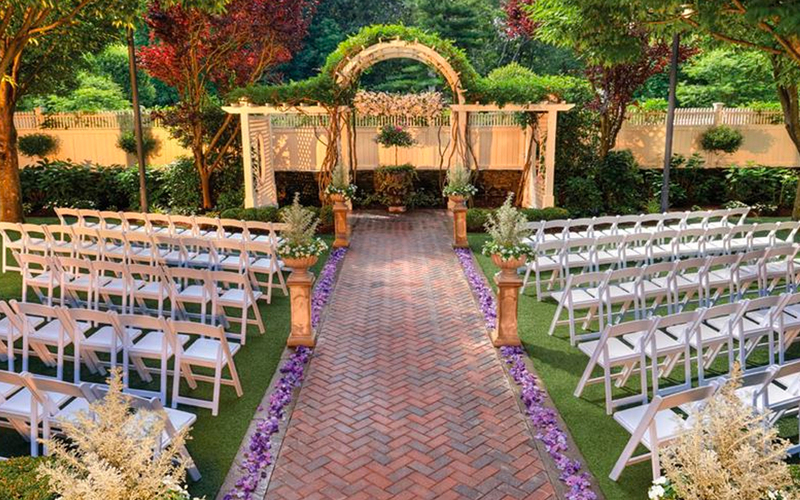 If your wedding is at The Watermill you’re in luck. The Watermill’s menus boasts the expected dishes and more, all prepared by award-winning chefs. As the guests enjoy dinner, the bridal party should be preparing for the often nerve-racking maid-of-honor and best man speeches. Hopefully the two leads in bridal party are comfortable in front crowd—or they had just enough liquid courage to get the job done. Whether hilarious, heartfelt or both, the toasts ideally last five minutes each. This time limit keeps guests from getting antsy and keeps the night moving at a brisk pace. After dinner and the bridal toasts wrap up, the bride and groom should head back to the dance floor—together. The more the bride and groom dance, the more guests will follow. Afterall, this is a party, so you want the action to be as constant and exciting as possible. Sometime during this time, the parents can join the bride and groom for the parental dances. As these dances are normally on the slower side, have your band and DJ switch immediately to high-energy music and encourage guests to get back on the dance floor. The elegantly decadent confection is rolled into the reception hall where the newlyweds wait to slice it and lovingly place bite-sized fork fulls into each other’s mouths. Sometimes a little cake-to-face smoosh takes place, too. This is typically followed by the bouquet and garter toss, should you choose to follow this particular tradition. It’s also a fine spot for the bride and groom to say a few words of thanks to their friends and family. Here’s where the dancefloor can get wild and epic. All the speeches are done, the traditional steps have been completed, and coffee is being served—now it’s time to dance until the night comes to an end. Pre-arrange a final song with your DJ, and say your goodbyes to guests, as the festivities have come to a close. Wedding exits can be extravagant with favors and sparklers or playful with interesting food stations. Either way, it is the final step toward the happily ever after. Here’s hoping you soaked everything in from the first moment to this last exit. Cheers!